The SUPER ME film is in the editing stages and I am hoping to launch the full work in September at the Film Festival if it is accepted. If not this year I am aiming to organize an event for all the participants and their friends and family, or in some cases, the entire home or centre where they reside to view the film. I am hoping to show this to as many young people and children as possible. 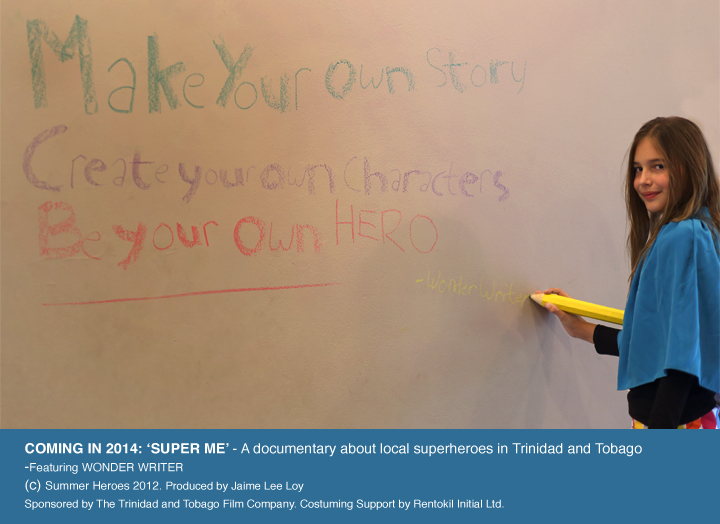 SUPER ME was created as an advocacy component of the SUMMER HEROES programme. It is meant to be an inspiring and hopeful discussion – also a raw and honest one-, about the society in which these children heroes are living. They speak about the things they enjoy, the talents they have, the hopes they have for their own future. 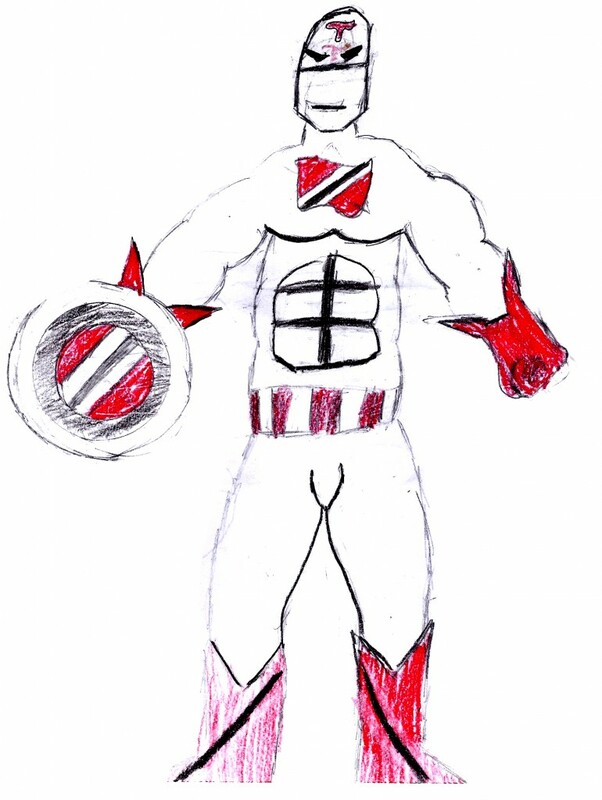 They also give some deliberation to the social problems we face in Trinidad and Tobago and what they think is the cause. There are children who live with their parents, some in local homes and centres. Some live with support and others do not. Some only speak about their superhero selves, some open up about their personal lives. There are those who speak from difficult living circumstances and some of their discussions I cannot air. I unfortunately could no longer include any footage from one of our heroes who had been already documented due to an unforeseen situation that did not involve this film. He is a spectacular child and we can only hope his circumstances will improve. I can tell you one thing. He had the power of lightning and his superpower ability was to cast a huge ball onto the Earth – think of a flame or drop of water as large as a continent. It would harm no one but as it collided with the Earth it would transform everyone and everything within it. In real life he was afraid of the dark but his superhero identity transformed his fear- he said he would shine brightly and provide light everywhere that he went. Children and young people need to be encouraged, supported and nurtured to develop their own thinking and their own sense of self, especially when they face trauma. The results are deep, sensitive, empathetic human beings whose conviction and hope for a positive world motivate them to keep looking up. In Trinidad, two teenage cousins were recently killed by police. Many people are in an uproar against the police for killing the teenagers and many others rage against the young people who have been named troublemakers and gangsters by anonymous people in their community. Regardless of what the truth may be, we cannot deny that our country is in crisis and that our nation’s young people are at greater risk. A risk of becoming a victim to crime or at risk of becoming a perpetrator – both at an early age. I believe that environment, circumstances, attitude and choices create this type of scenario. 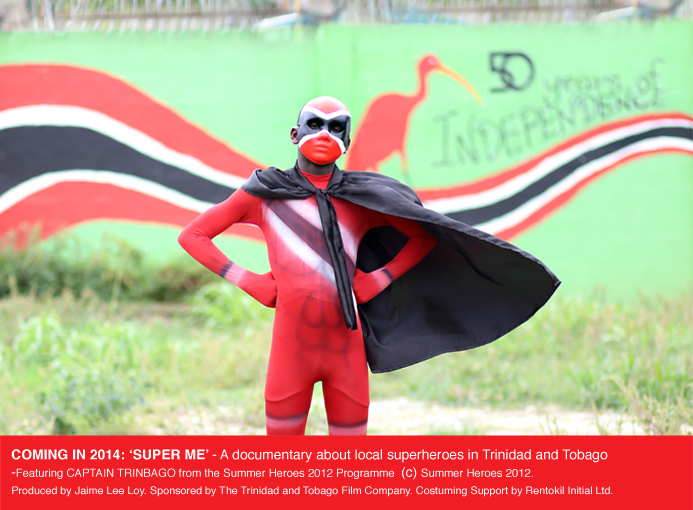 ← ONGOING CALL for all schools:SUPER ME AT IMAX!